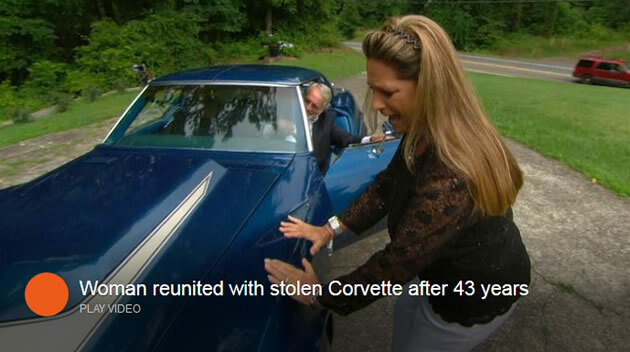 Terry Dietrich was still a teenager in 1972 when she decided to splurge on the car of her dreams, a bright blue Corvette Stingray. And just six months later, her world was shattered when her precious car was stolen. Dietrich told NBC’s Frances Rivera for TODAY Sunday that for those six months, she “loved it, every minute of it.” Until that day when her car was stolen from her office parking lot. Dietrich said police gave her little hope, and told her that her beloved Corvette was probably gone for good.